New Guardians of the Galaxy Vol. 2 Poster and Photos! Following the debut of the extended Super Bowl spot for Guardians of the Galaxy Vol. 2 (which you can check out by clicking here), Marvel Studios has debuted a new poster and several new photos from the film. Check them out in the gallery below and catch the James Gunn film in theaters on May 5. Guardians of the Galaxy Vol. 2 is produced by Marvel Studios’ president, Kevin Feige, with Louis D’Esposito, Victoria Alonso, Jonathan Schwartz, Nik Korda and Stan Lee serving as executive producers. Opening in theaters on May 5, Guardians of the Galaxy Vol. 2 will be followed by Spider-Man: Homecoming on July 7 and Thor: Ragnarok on November 3. 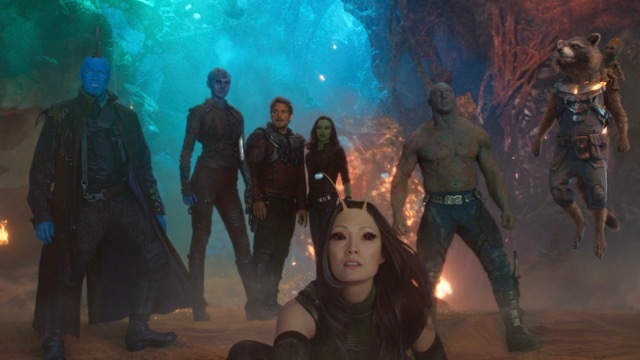 What do you think of the Guardians of the Galaxy Super Bowl spot? Let us know your thoughts in the comments below!